The problem with drinking wine too young is that it is sometimes difficult to appreciate the winemakers skill. The Stonegate 2010 has stonking tannins which at this stage almost drown the underlying solid fruit. My guess is that a lot of people will dismiss this wine and it is tempting to do so. 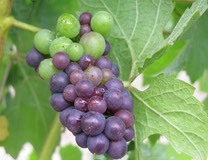 We will take a look in a years time and see what phase the wine is going through before making a true assessment. My gut feeling tells me this is going through a "naughty boy" phase and needs to be put in the corner until its ready to behave. Time will tell but I would advise not to drink this quite yet.